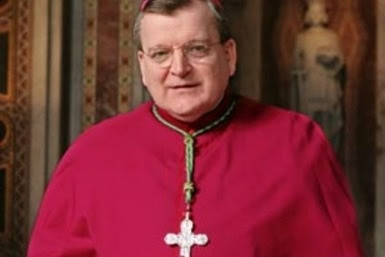 Someday I'll Sleep Autism Blogs: Wonderful News: Archbishop Burke to be made a Cardinal! Wonderful News: Archbishop Burke to be made a Cardinal! Me: "and Archbishop Burke... wait a second... is he a cardinal yet?" Paul: "Nope, still an Archbishop." Me: "But you think he will be soon, right?" VATICAN CITY (KMOX) - At his regular Wednesday audience Pope Benedict XVI named new cardinals, including former St. Louis Archbishop Raymond Burke – who now heads the Vatican Supreme Court. Archbishop Burke says he holds St. Louis so dear to his heart that he kept the title Archbishop Emeritus of St. Louis once he went back to head the Vatican Surpreme Court in 2008. John Allen with the National Catholic Reporter says Archbishop Burke — at age 62 — will be around for long time at the Vatican.